Blizzard has reverted a key change to Hearthstone’s Tess Greymane card, a legendary Rogue-class minion, after players voiced widespread dismay over its implementation. The changes in Update 11.2 were categorized by Blizzard as “bug fixes or improvements” rather than nerfs, and as such did not offer a full dust refund. But players felt they negatively impacted the card’s viability enough that a full refund was only fair. Blizzard eventually agreed, but the incident has thrown a bit of a wrench into a tournament this weekend. Tess Greymane has a battlecry that reads, “Replay every card from another class you’ve played this game (targets chosen randomly).” Until Update 11.2, those cards would persist when Tess Greymane was removed from play or silenced. After the patch, however, they’d disappear if she was destroyed or silenced, which is a pretty significant reduction in the card’s power. There are other CCGs out there! Here’s our list of the best card games on PC. To make matters worse, the change took place during the HCT Seoul Hearthstone tournament, and the 15 players who had submitted Quest Rogue decks all found themselves with weaker decks. After outcry from the rank-and-file and pro players alike, Blizzard decided to revert Tess Greymane’s battlecry to the pre-patch functionality, and give Quest Rogue players the chance to resubmit their decks for HCT Seoul, Hearthstone community manager Jesse Hill explained in a post to the game forums. 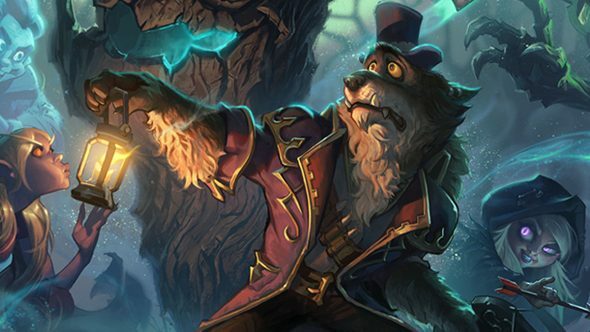 As Hearthstone has grown, its keyword interactions have become increasingly inconsistent and complicated, and Hill says the changes were intended to bring Greymane in line with similar cards – Lynessa, Shudderwock, and Yogg-Saron.